My website now has a more minimal theme. I have become weary of the sliders, sidebars, and unneeded visual distractions that I have experimented with in the past. The theme I have recently switched to is called “Decode”. Visually minimal, but responsive, built in HTML5 from the ground-up and ‘Retina-ready’ for those high resolution displays that will one day become the norm. Images will be full-width where possible in the future, so that they can be better appreciated without the need for a lightbox effect. I am also experimenting with Markdown to write posts without the distraction and code-mangling of a WYSIWYG editor. This post is being written in the excellent Byword app on my Mac, which can also post to WordPress. If you’re reading this, it worked. 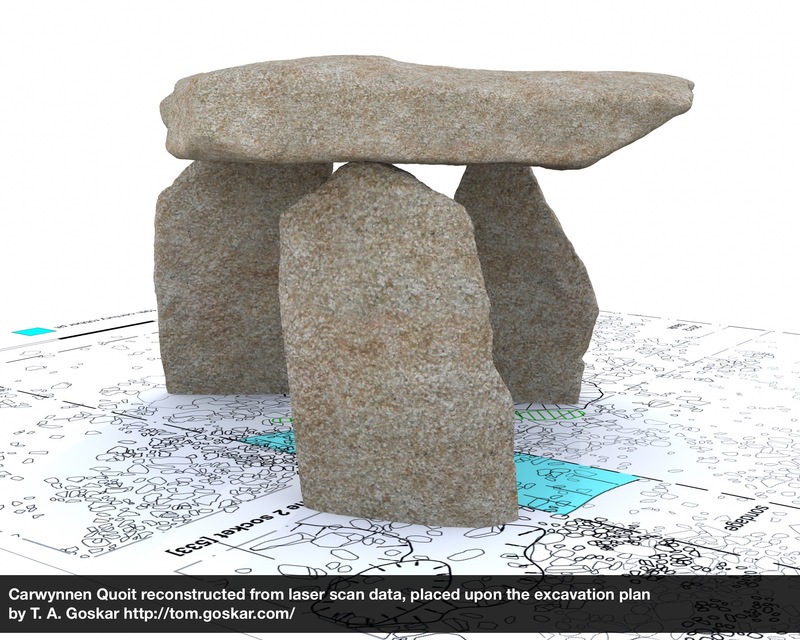 Earlier this year I was commissioned by Sustrust to digitally reconstruct the then-collapsed Carwynnen Quoit, a neolithic dolmen, using existing 3D laser scan data. This would be used to inform the physical reconstruction of the monument. I was also asked to investigate and report on a number of stones adjacent to the quoit which were thought to have been worked or decorated in antiquity. 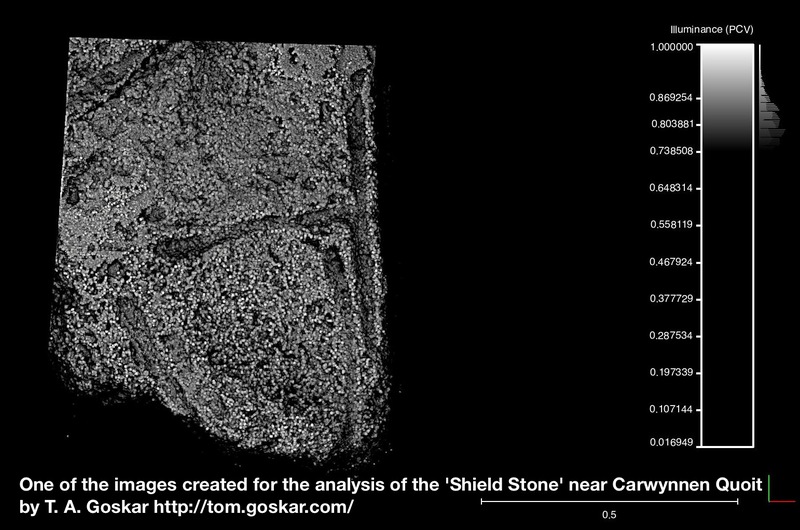 The ‘rock art’ panels (a mixture of natural and hand-made lines, not necessarily as part of a single deliberate piece) were recorded in 3D using Structure from Motion (SfM) photogrammetry. On summer solstice 2014, the capstone was lowered into place by crane in front of hundreds of spectators, marking an end to a four year project. The graphical output that I produced was used on leaflets and publicity, as well as extracts from my report on the potential rock art. Below are some of those images, used with permission. 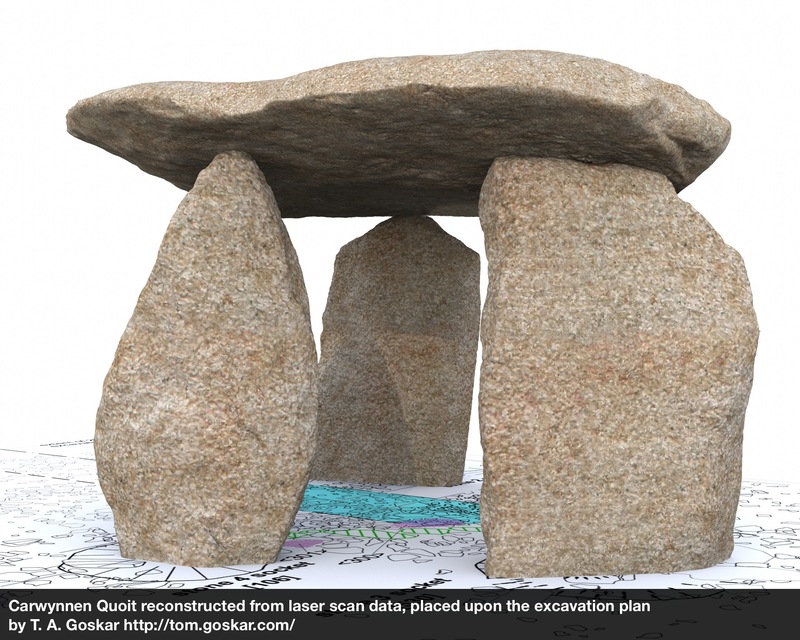 Visit the Giant’s Quoit website to find out more about the project. As Penzance celebrates the 400th anniversary of the granting of its Royal Charter by King James I, is its most iconic building, the handsome Market House, falling into disrepair? To use its formal name, Penzance Market Building is Grade I listed (English Heritage building ID: 69515), and of national importance. Its impressive portico atop ionic columns on the eastern side has commanded the view of Market Jew Street since its completion in 1838. The building, crowned by its lead-covered dome with octagonal lantern, can be seen from all around the town and surrounding landscape. The western half of the building is occupied by Lloyds Bank. Unfortunately the eastern half, once home to the town’s Guildhall, lays empty and at risk from further dilapidation. The basement shop has been vacant for many years. The former clothes shop on the ground floor closed over two years ago. The businesses occupying the offices on the first floor left years ago. There are no “To Let” signs. Many of the basement windows are boarded up. It is becoming a shadow of its former glory, right under the eyes of everyone who lives in, works in, or visits the town. Slow decline can be difficult to notice. But listen to tourists visiting the town – I have heard several saying that it was a shame that it’s all shut up. A few weeks ago, I had a good look at the eastern half of building. A quick look through the middle side door on Market Place alerted me to the damage that may be occurring inside. Damp runs up the wall and across the ceiling. Fallen plaster lays on the floor. This indicates water ingress, possibly as a result of the recent storms. There will also be damage in the floor above. Inside the old Guildhall, with its beautiful moulded ceiling, paint is peeling off and plaster falling off around the ornate ceiling rose. Dark stains indicate water damage. Meanwhile, several of the windows of the basement are boarded up, reinforcing an image of neglect. Tehmina and I have been worried about the building for a long time, and have gone to some effort to try and discover who is responsible for the building. The Corporation of Penzance owned the building until 1965 when it sold it to Lloyds Bank, retaining use of the flagpole and portico for official occasions. Lloyds sold the freehold of the Market Building in 1995 as part of a sale and leaseback programme. They remain lessees of the building, and responsible for repairs. Sadly, until recent pressure, they have let the unoccupied (eastern) portion building fall into disrepair. The lack of any “To Let” signs have done little to encourage local businesses to move into the premises. The best way to look after a historic building is to use it. People working there would notice leaks, and keep it ventilated and heated. This is what needs to happen to our beloved Market House. It needs to be used again. In mid-April, after first noticing the damage inside, we contacted the Cornwall Buildings Group with our concerns. Despite the building being cleaned in 2011 the surface of the granite is showing signs of algenous growth and vegetation is emerging from the pointing between the granite blocks. There are probable damp problems in the basement, it has been boarded up for so long. Plaster is falling from within and the interiors are becoming ruinous. We have asked Cornwall Council Enforcement and a conservation officer to get together to look at this important building in Penzance. Cornwall Buildings Group also wrote to SAVE and the Victorian Society. I have done the same to the latter and Cornwall Council. Simon Reed, a good friend and former Mayor of Penzance, has been lobbying Town and County Councillors, and the matter will be brought before Penzance Town Council’s Planning Committee on 21 May 2014. The pressure from the Cornwall Buildings Group has caught the attention of local newspaper, The Cornishman, in the article “Pressure group calls for clean-up of Penzance’s historic Market House” which was published whilst I was drafting this blog post. This is excellent news. However, we must continue to keep up the pressure to make sure that this grand old building gets the new lease of life that it deserves. direct its users attention away from the vulgarity of the streets and the uninspired and often depressingly ugly uniformity of the town. Here’s to it continuing to do just that. Maybe one day it could even host the Town’s market once again. See more photos of the problems caused by the dereliction of the Market House. [Update] There is a movement by Popup Penzance to negotiate with the property owners to transform the vacant units into a multipurpose community venue, incorporating a museum exploring the life of scientist Humphry Davy who was born here in Penzance in 1778. It will be fantastic to have the building repaired and see it used again. [Update 11 August 2014] No visible repairs have been made to Penzance Market House since this post was first written – I assume that we are still in the “coming months” period. Further damage is visible through the glass of the Market Place door – a large piece of wood has fallen from presumably the ceiling of the landing and slid down the stairs. Further plaster is visible on the floor. The warm weather has dried out some of the damp visible on the ceiling of the former Guildhall, but it is not possible to see if any plaster has fallen off. The building requires an internal inspection. There are still no “To Let” signs, suggesting a lack of will to have the building reoccupied. Cornwall Buildings Group have issued a statement about the state of Cornwall’s listed buildings and Cornwall Council’s lack of action in several cases. Watch this space. To date the bank as failed in its duty to maintain this building effectively so these proposed works – as a result of the enforcement notice – are designed to put that shortcoming right. This area has suffered from lack of maintenance for many years; there is a large buildup of organic spores on all surfaces. The ceilings have largely collapsed, the doors have delaminated and a good portion of the flooring is soft under foot. This area is a danger to Health and a real safety risk. It should not be occupied unless under strict supervision. According to a further report in The Cornishman entitled Repairs to start at listed Market House building in Penzance repairs will begin in October 2014, and from a glance at the Heritage Statement, it’s going to cost Lloyds a pretty penny as the entire building and dome will be encased in walled and roofed scaffolding. This is just the first planning application to get the building watertight. Further work and applications will be required to repair the rooms inside. Doubtless this will cost several hundred thousand pounds to complete – all because routine maintanance hadn’t been undertaken. Hopefully this is the beginning of getting our wonderful Market House back into shape, and bringing the eastern half back into use. We are on the path to helping Penzance be proud of it once more. The remains of the Marazion to Penzance footpath and cycle route, washed away in the February 2014 storms. 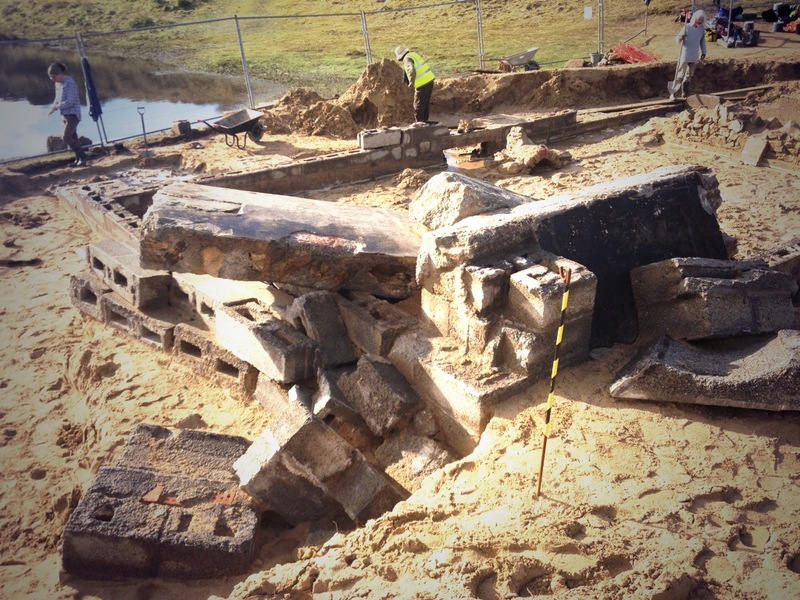 For the last couple of weeks, and on St Piran’s Day itself, I have been helping out with the Uncovering St Piran’s Oratory project. Organised by St Piran Trust and run by Cornwall Council Historic Environment Service the project aims to uncover as much of the (potentially) early medieval structure to assess and record its condition. Following a 15-year-campaign, the St Piran Trust plans to unearth and conserve St Piran’s Oratory, believed to be amongst the oldest Christian buildings on mainland Britain. The site has been of central importance to Cornish people for over 1,400 years as a place of worship and pilgrimage, and as a focus for cultural expression. Today, many hundreds of people gather at the site annually to mark St Piran’s Day. The saint’s flag (which features in a stained-glass window installed in Westminster Abbey in 1888) – a white cross on a black field, is flown the length and breadth of Cornwall. The scheduled ancient monument is a listed building and was buried in 1980, for “its own protection”. Since then expert opinion has shifted, amid calls for it to be uncovered and conserved in a more sympathetic way. The Oratory and associated protective concrete structure from 1910 are protected as a Scheduled Ancient Monument. Unfortunately in 1980 as part of the burial programme, the concrete roof was removed – or so we thought. During this year’s excavation we found that part of the roof structure, badly damaged and sitting at an angle, had been left where it fell and simply buried. It has been decided that the pile of broken concrete needs to be removed to safely continue with the project. I have been commissioned to record concrete remains in-situ using photogrammetry to complement more traditional recording. 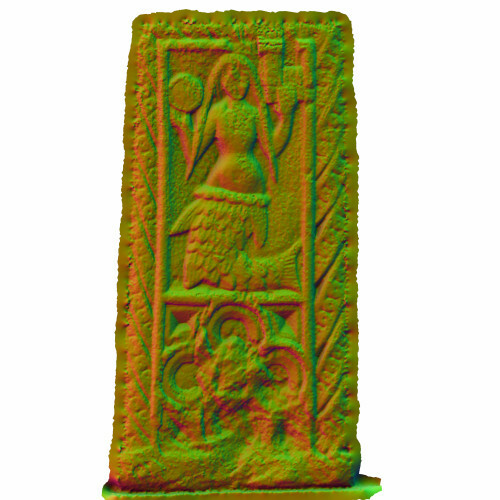 I undertook the photography aspect of photogrammetric recording on St Piran’s Day (5th March 2014) and am now processing the point clouds. This will result in a highly detailed model of the concrete remains, which include a buttress, part of the reinforced concrete curved roof, and the hollow mundic blocks used to construct the walls. From a technical point of view it is proving to be a challenge. There is no uniformity to the concrete remains – it is full of overhangs, pockets and voids. The photographic capture strategy was tough to work out, and 16GB of RAW images were taken after careful cleaning of the concrete by trowel, hand shovel, bucket and brush. I have covered as many angles as was safe and practical to do so. I will be delivering the point cloud and a series of orthographic views to the client. Once the concrete has been removed, it is hoped to expose more of the Oratory, and I will be able to record the medieval structure in the same manner. In the meantime, I have the opportunity to get out in the open air and dig, which I love. The are plenty of photos on the open Facebook group Uncovering St Piran’s Oratory. 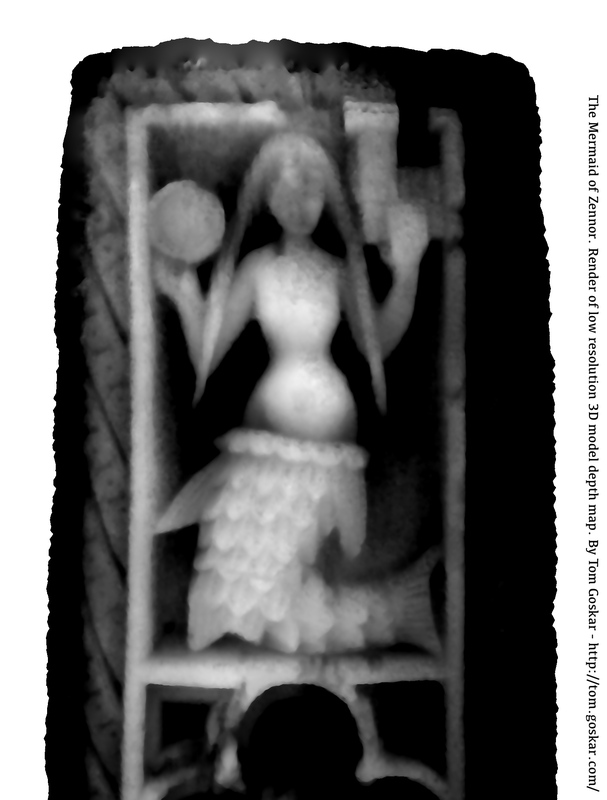 You can also see a 3D model of the excavation as it stood on St Piran’s Day 2014. I am delighted to announce that I am now a consultant for Archaeovision, a pan-EU group of experts in the field of archaeological computing. I will still be working freelance for smaller local projects. However, Archaeovision will allow me to take on larger projects with a group of fantastic and experienced archaeologists who have overlapping and complementary skills. If it needs to be 3D scanned, recorded, photographed at huge resolutions, have hidden details enhanced, or transmitted via the internet, we can do it. 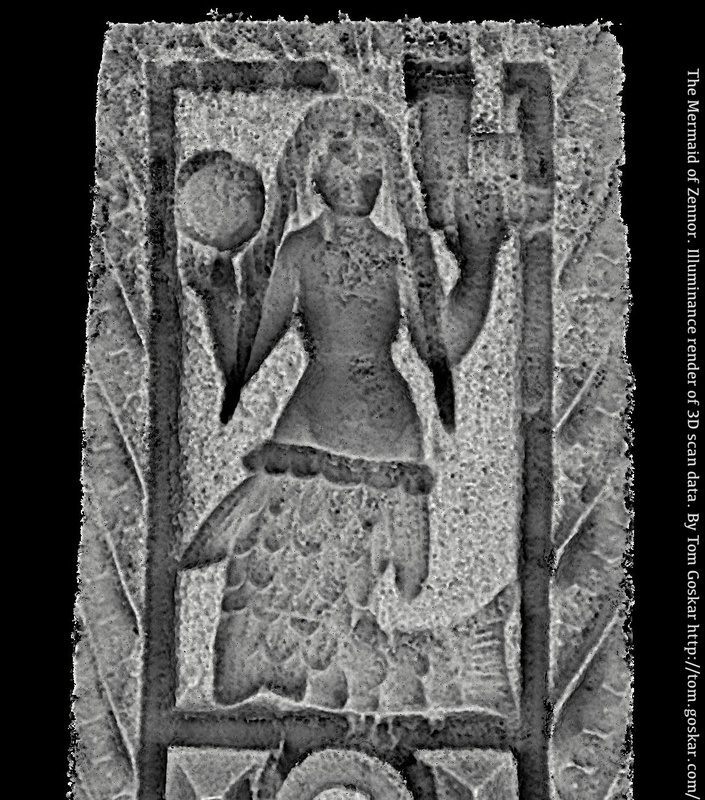 Visit http://archaeovision.eu to find out more. Yesterday saw the official unveiling of Jelly, an app for smartphones which allows users to ask questions, accompanied by a photo, to their extended social networks. An example could be whilst going for a walk, you spot something unusual, or are just curious about. 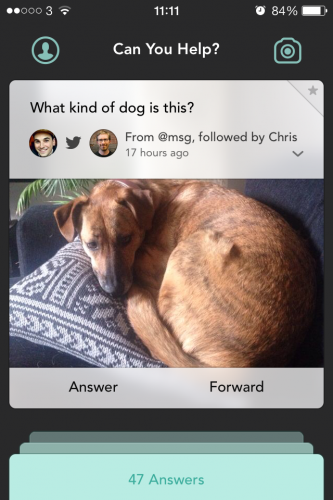 There is no information to hand about what it is, so you snap a photo with the Jelly app and ask your connections. And their connections. The question can be passed to quite a large network. Alerts can be enabled so that when your friends ask questions it’s possible that you could get answers back fairly quickly. Archaeological applications could be varied and useful. Obviously there are limits – a square format photo can only contain a limited amount of information – and it doesn’t look like hashtags have been implemented in the Jelly app yet. 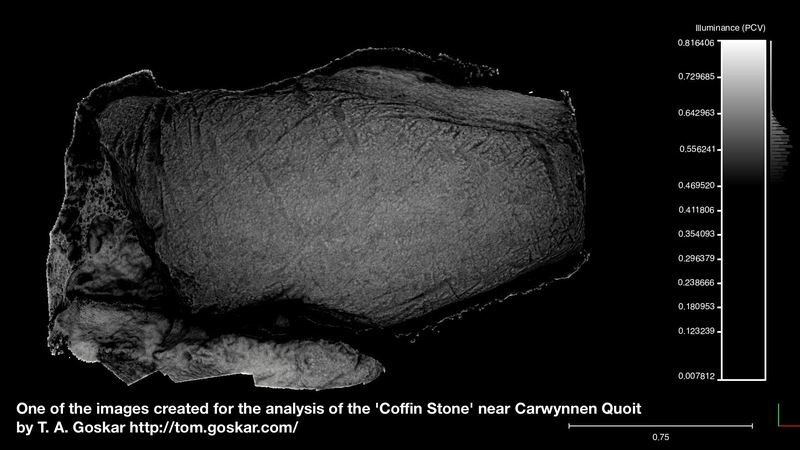 It would be great to follow #archaeology on Jelly to see what questions people ask. However, you can post your questions to Twitter and Facebook, and use has tags there, so all is not lost. It may be branded a tool for the ‘lazyweb’, but knowledge in numbers is often a very good thing indeed. Jelly is certainly a service to keep an eye on.